The appeal here is somewhat complicated – as reflected by the Federal Circuit’s 42-page opinion. The complications begin with the founding of EVE, and emulation software company founded by folks who invented emulation software at Mentor. Synopsys then acquired EVE. EVE had previously licensed some of Mentor’s patents, but Mentor claims the license was terminated by the Synopsys acquisition. 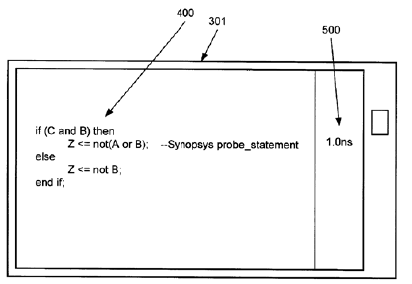 Ending Assignor Estoppel: The jury found that Synopsys infringed Mentor’s U.S. Patent No. 6,240,376 and awarded $36 million in lost profits damages. The district court had refused to allow Synopsys to challenge the patent’s validity based upon the doctrine of assignor estoppel. The judge-made doctrine prohibits a patent’s seller/assignor (such as an inventor who assigned rights to his employer) from later challenging the validity of a patent in patent infringement litigation. Here, Synopsys agreed that the doctrine applied since the inventors of the ‘376 patent had founded and continued to operate EVE that was the source of the infringement. However, the adjudged infringer boldly asked the Federal Circuit to eliminate the doctrine (as the PTAB has done) since Supreme Court “demolished the doctrinal underpinnings of assignor estoppel in the decision that abolished the comparable licensee estoppel in Lear, Inc. v. Adkins, 395 U.S. 653 (1969).” On appeal, the Federal Circuit panel disagreed – as it must – following its own precedent such as Diamond Sci. Co. v. Ambico, Inc., 848 F.2d 1220, 1222–26 (Fed. Cir. 1988) and MAG Aerospace Indus., Inc. v. B/E Aerospace, Inc., 816 F.3d 1374, 1380–81 (Fed. Cir. 2016). The setup here is proper for en banc or Supreme Court petition. On Point is Mark A. Lemley, Rethinking Assignor Estoppel, 54 Hous. L. Rev. 513 (2016) (arguing that the doctrine “interferes with both the invalidation of bad patents and the goal of employee mobility”). HDL source specification that generated the circuit.” And, the district court found that the undefined term-of-degree “near” rendered the claim indefinite. skilled in the art about the scope of the invention.” Nautilus, Inc. v. Biosig Instruments, Inc., 134 S. Ct. 2120 (2014). Terms of degree are certainly permissible, but the patent document must include “some standard” used to measure the term of degree. Here, the court walked through terms of degree that have been accepted post Nautilus: “spaced relationship”, “visually negligible”, and “look and feel” based upon the intrinsic evidence or established meaning in the art. Here, the specification indicates that the nearness of the circuit analysis display is to allow “a designer to make more effective use of logic synthesis and reduce the complexity of the circuit debugging process.” In addition, the specification provides several diagrams showing the analysis next to the appropriate line of code (below). These descriptions provided enough of a standard for the court to find a reasonable certainty as to the scope of the term and the claim as a whole. “[W]e hold a skilled artisan would understand “near” requires the HDL code and its corresponding circuit analysis to be displayed in a manner that physically associates the two.” On remand, Synopsys will get a shot at proving infringement of this patent. Claim Preclusion: Finally, the Mentor has successfully appealed the district court claim preclusion holding as to Mentor’s U.S. Patent Nos. 6,009,531 and 5,649,176. Back in 2006, Mentor had sued EVE for infringing the patents. That litigation settled with Eve’s license and a dismissal with prejudice. Here, the Federal Circuit held that claim preclusion cannot apply because the current litigation is based upon acts that occurred subsequent to the prior settlement. Mentor’s infringement allegations are based on alleged acts of infringement that occurred after the Mentor/EVE license terminated and were not part of the previous lawsuit. Claim preclusion does not bar these allegations because Mentor could not have previously brought them. What is a bit unclear here is how the license plays in. The court noted that the current infringement claims are “based on post-license [termination] conduct, so the alleged infringement did not exist during the previous action.” It is unclear how the court would deal with pre-termination conduct. Note: The case also includes an important holdings on lost profits damages, willfulness, and written description that we’ll save for a later post. The functional claiming debate continues fueled in a large part by the unethical propagandist Mark Lemley, professor at Stanford University. Read his paper that was published by Lemley in a vanity press (called law journals.) The cites are bad. The history of patent claiming is misrepresented. But, most of all, what Lemley does is not disclose that functional language is used by people skilled in the art to convey the invention even in engineering documents. So, the engineering books at Stanford are full of functional language. The text books used at Stanford include passages that explain that functional language is used for known solutions to problems. Mark Lemley intentionally misrepresents this. He is a shameful, unethical, anti-patent judicial activist. This rises to the level of actionable unethical conduct by Mark Lemley and Stanford has a duty to investigate and punish him. Please just address this one point Mark. I know you read this blog. Try to address this one point. Nuitjen should have been challenged more vigorously – a decision that defies any actual understanding of physics. All the understanding of physics in the world wouldn’t have changed the result. Lol – clearly you don’t get even the simplest of physics related to that case. “Get over it” is simply inappropriate, given just how wrong that decision is. OT: Is there a post coming analyzing the briefs (merits and amici) for Kraft Foods in the TC Heartland case? For TC Heartland, there was a post with analysis and links to all the briefs the day after the amici briefs in support of TC Heartland were filed. For respondent, it’s been nine days since amici filed their briefs in support of Kraft, but no post/analysis/coverage here of Kraft’s response brief and their amici. Just from my review of the briefs, I do not see how the Supreme Court could rule in TC Heartland’s favor. I might even predict a 9-0 ruling in favor of Kraft. It is clear to me that the 1897 patent venue statute was intended to broaden patent venue by adding the clause about established business and acts of infringement to “inhabitant.” Fourco (1957) had broad language that the patent venue statute was exclusive of 1391 (c), but the court really held that way because Congress, in its 1948 revision, did not intend to change the law in its codification effort. Brunette (1972) held that the statute regarding foreign corporations not being able to assert venue defenses controlled as opposed to the patent venue statute, saying that the language in Fourco was a bit overbroad. VE Holding (Fed Circuit 1990) held that the amendment to 1391 (c) was effective for the patent venue statute because it defined corporate residency for “the purposes of venue under this chapter” which clearly, by its own terms, included the patent venue statute. Finally, the most recent iteration of statutory change defined “residency” for corporations and other like entities for “all venue purposes” that clearly covers the patent venue statute. The legislative history shows that the crafters of the new venue statute specifically intended to include the patent venue statute within its ambit and discussed VE Holding with approval. The new venue statute does not have a separate section addressing venue for aliens as did prior statutes. Rather it addresses nonresidents in 1391 (c)(3). If 1391 (c) does not apply to the patent venue statute, then there is no provision whatsoever that addresses the proper venue for nonresidents. Thus a nonresident might not be able be sued in the United States for patent infringement unless it has a regular and established place of business and commits acts of infringement there. When a foreign corporation only distributes infringing products into the United States, it may not be possible to sue that corporation anywhere. The problem of the Eastern District of Texas could be solved by Bristol-Myers Squibb Co. v. Superior Court of California, San Francisco County, Supreme Court docket number 16-466, oral argument scheduled for April 25, 2017, which questions whether Bristol-Myers can be sued in California under the due process clause for an allegedly defective drug which it only distributes in California. The problem of the Eastern District of Texas is primarily caused by the broad interpretation of personal jurisdiction of the Federal Circuit (Beverly Hills Fan (Fed Circuit, 1994) that allows companies be sued under the due process clause in jurisdictions where their products are distributed. Why would “only” distribution absolve you of having a business contact? anon, the problem seems to be “indirect” access to a forum by giving the goods to a distributor who then distributes them. That may not be enough if the Bristol Meyers case is decided in favor of Bristol Meyers. If a company wants to avail itself of a region (and the profits from that region), then it chooses to have a business presence there. Are you really suggesting that responsibility (some may say liability) should not follow the dollars? >On Point is Mark A. Lemley, Rethinking Assignor Estoppel, 54 Hous. L. Rev. 513 (2016) (arguing that the doctrine “interferes with both the invalidation of bad patents and the goal of employee mobility”). Mark Lemley publishes his propaganda in the vanity press of the law journals. His vanity publications have bad cites, do not cite cases that are in opposition to his view, and mischaracterize science and history. It is a national disgrace that any court would reference anything Mark Lemley says or publishes. Mr. Lemley does not … debate me. This illustrates why you are a Trumpette MM. Anyone in our society that cares about our society should expect that people that are trying to influence policy and the law in our country would be willing to engage in a fair debate over the issues. But, Lemley and his followers (yes they are followers because Lemley got many professors jobs that were anti-patent by publishing a paper with them and then recommending them to the university) will not engage in a fair debate over the issues, but rather use their positions to hide from debate. Lemley actually runs away after some of his propaganda speeches. Stanford Law School should be rated below the top 100 for supporting this unethical craven ideologue. The “wink and nod” attitude given to the influence of such unchecked “Friends” is fine so long as the Ends match the desired Ends. His favorite meme of Accuse Others Of That Which He Does is suitably reflected in his very Trump-like treatment of anyone that does not hew to his feelings. He is incapable of having an intelligent and inte11ectually honest conversation on any point of law. Thank goodness NW isn’t obsessed with Darth Lemley or anything. Oh lookie! “Anon” is confused! Of course he also couldn’t distinguish between the two major political parties in the US so no surprise there. You misunderstand the point of the question mark. It does not signify confusion on my part. It signifies that your “response” is off kilter and should be treated accordingly. And you’re an unbelievable hypocrite afflicted with blinding narcissism. Have to “love” your number one meme of Accuse Others Of That Which Malcolm Is…. Share your super serious concerns with your bff NW for a change. Then maybe I’ll stop laughing at your silliness. Maybe you should concentrate on something else other than your feelings and what you deign to be laughable. As it is, your posts are merely blight. And, each “justice” on the SCOTUS and “judge” on the CAFC should be ashamed of themselves for citing to Lemley’s vanity press publications without reading the vanity publication closely enough to understand that they have bad cites, do not cite precedent that is counter to their propaganda, misrepresent science, etc. Shameful justices and judges. Not worthy of serving us. Please. Please. Resign. It’s a total mystery why normal people cross over to the other side of the street when they see you and “anon” on the corner. Stay off the hard drugs, Billy. An analogous situation is discussed by de Tocqueville in democracy in America. An Indian chief sells tribal land to the farmer but the next day the Indians continue to hunt upon the now farmer’s land, at times, hunting the farmer’s own livestock. Of course, disputes occur. Neither party understands the other. The Indian chief does not understand concepts of property. The farmer does not understand how one can make a deal and then renege on it with impunity. As discussed by Judge Davis, there is a difference between licensor estoppel and assignor estoppel: in the one, licensee continues to pay unless he challenges. In the other, the assignor has received full compensation for the sale of the patent and now seeks to renege. I think one needs to look at carefully whether the assignor is actually been compensated adequately for the assignment. If he has not, as in the case of most employed inventors, equities probably favor not applying assignor estoppel to him in the first place. It does seem reasonable that an exception to the doctrine would exist when there has been an intervening major change in the patent statues and/or USSC / CAFC precedent pertinent to the patent’s subject matter. The setup here is proper for en banc or Supreme Court petition. Presumably the en banc CAFC will chuck its own precedent …? Who wrote Diamond Sci. Co. v. Ambico? Judge Davis. Judge Friedman was also on the panel (along with Judge Newman). Shows how long ago this was. Judge Davis passed away a couple of weeks after Diamond Scientific came out, so this may have been one of his last opinions. It looks like Synopsys is also trying to set up a petition to change damages law. See pp. 16-17 of the opinion (quoting Synopsys’s brief) and (if you feel like pulling it from PACER) the amicus brief.